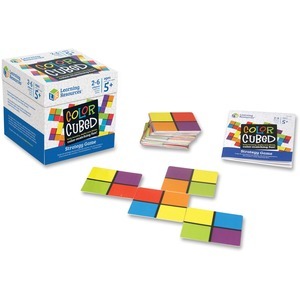 This make-you-think game provides an entertaining way to teach matching, critical thinking and addition skills. Points are earned by matching as many colors as possible using your cards. Make the most color matches and win. Addictive gameplay is simple enough for young learners yet fun for adults too. Multiplayer format requires two to six players. Strategy game is designed for children ages 5 and up.